I was pretty darn excited when Tracy from Fly on Over Eq opened her Etsy Shop The Printable Pony. 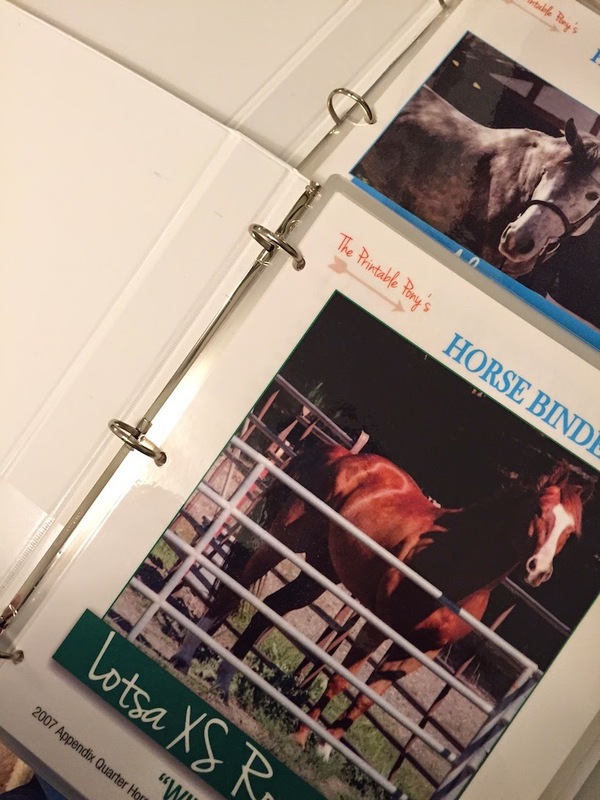 I purchased two Complete Horse Binder sets and in her words "The Printable Pony’s Printable Horse Binder is a one-stop spot for all of your horse’s important information and documents. 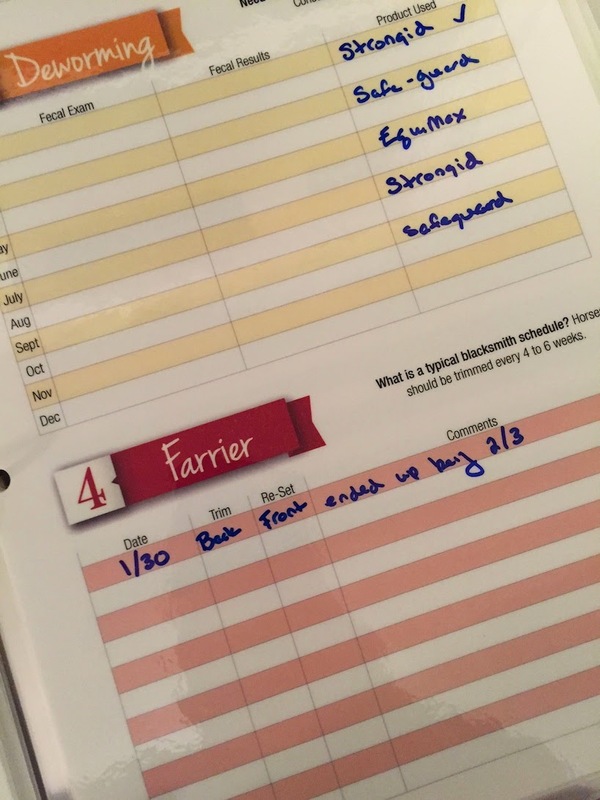 Perfect for keeping your equine files and paper clutter organized, these printables combine to create an incredible equine management binder system for the home or barn by keeping all valuable information centralized in one location. " It's neat to be able to support the community in entrepreneurial spirit and frankly, I needed something to keep me on track for Wilbur's various appointments. Once I had actually made the transaction it took me a good long while to actually get Tracy the info she needed to create the document. Rather than read her (very) simple instructions which detailed submitting name, age, and breed- I chose instead to assume that she needed EVERYTHING all the way down to hay type in order to build my binders. 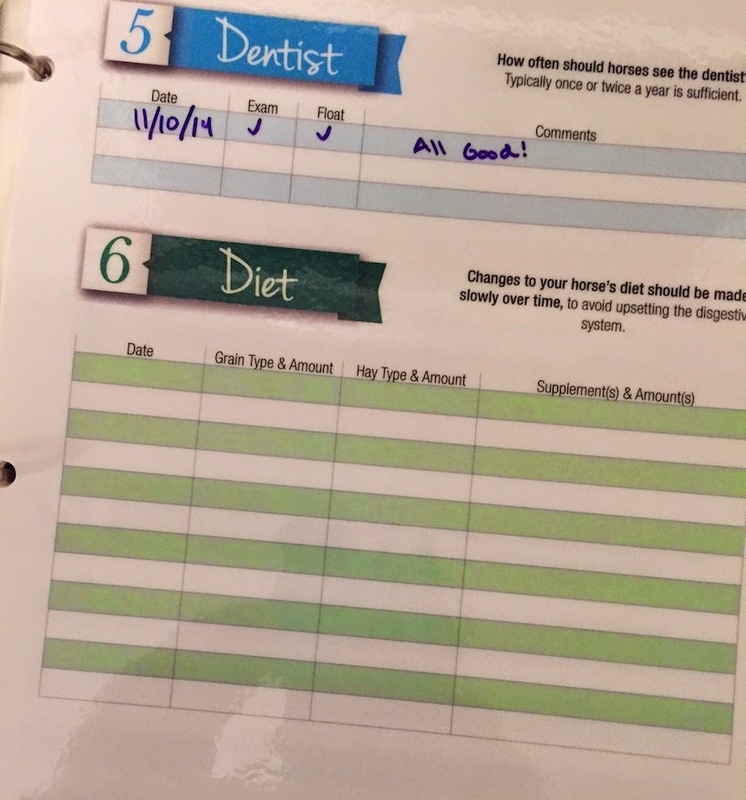 Tracy had my printables turned around in just a few days and I promptly visited Office Max. Going whole hog on this one I got both books laminated and a set of dry erase markers so I can easily make updates and changes. 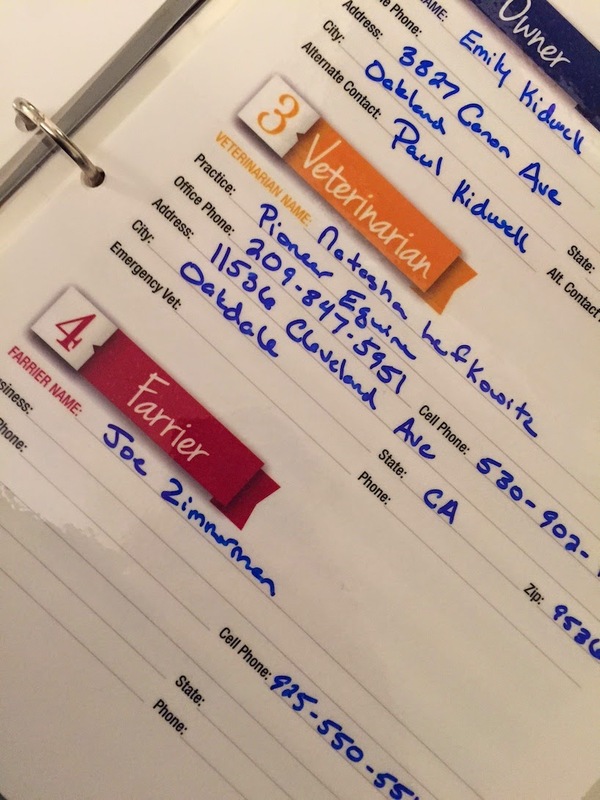 I brought them home today and went to work on Wilbur's book. 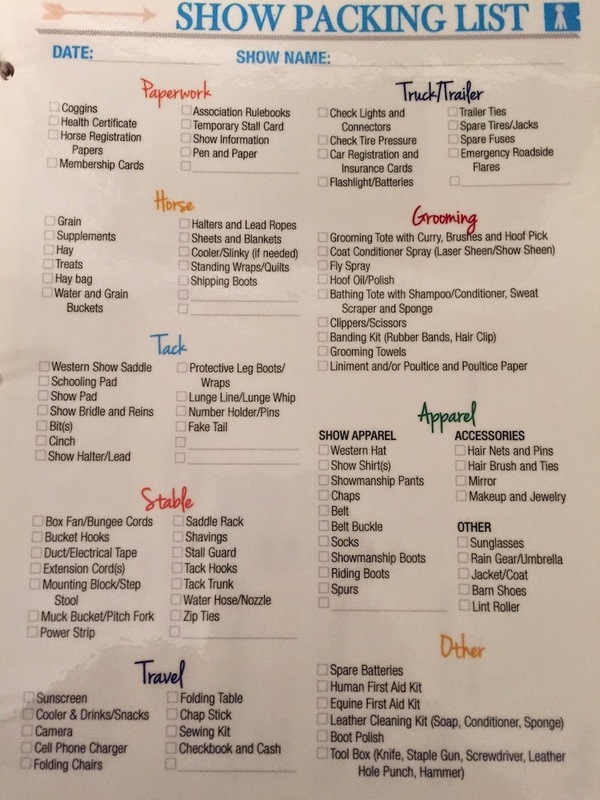 It's so neat to have all this info in one spot and the binders include some great pages of actionable add ons like an emergency contact form that I can tape to my locker and a stall card that I can hang on the gate. 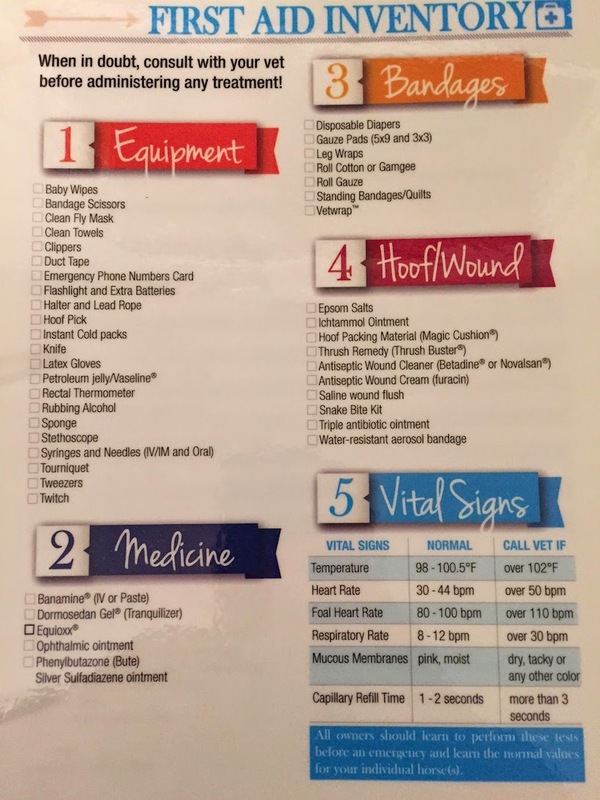 Always a fan of a checklist- my two favorites in this set include Packing for a Horse Show and inventorying First Aid. 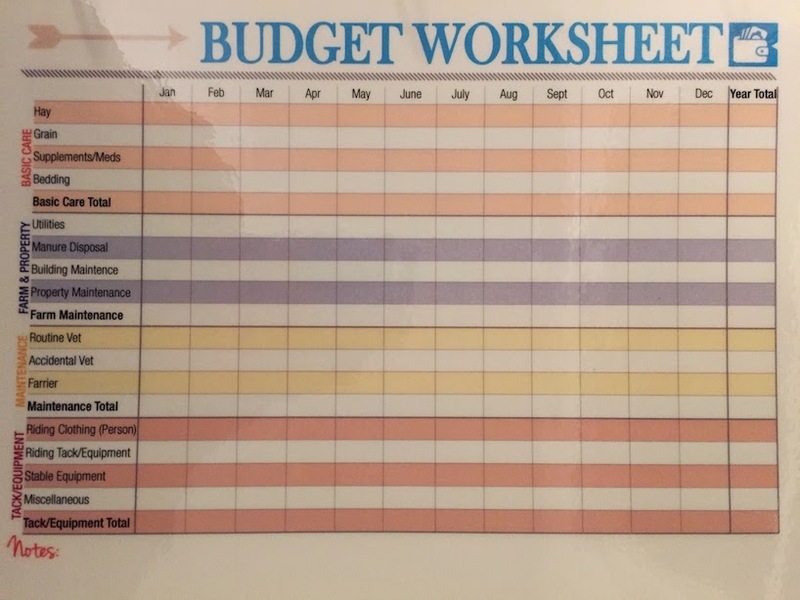 Maybe Tracy's budget worksheet will finally get me to put numbers to paper. 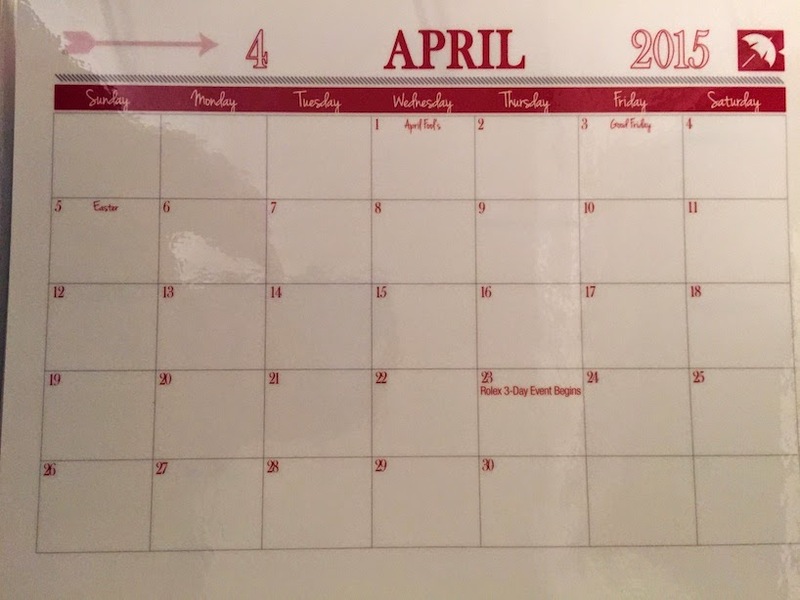 And finally there's an entire calendar year to update as a visual scheduling tool- and Tracy has been kind enough to make sure I don't miss out on any major horse events- notice the Rolex in April? Thanks Tracy! I'm excited to develop these binders into great tools! So awesome, I should order one for prisoner! it came out so well!!! love your idea about laminating and using dry erase too. all in all very clever ! What Did I Bring Home from AETA?